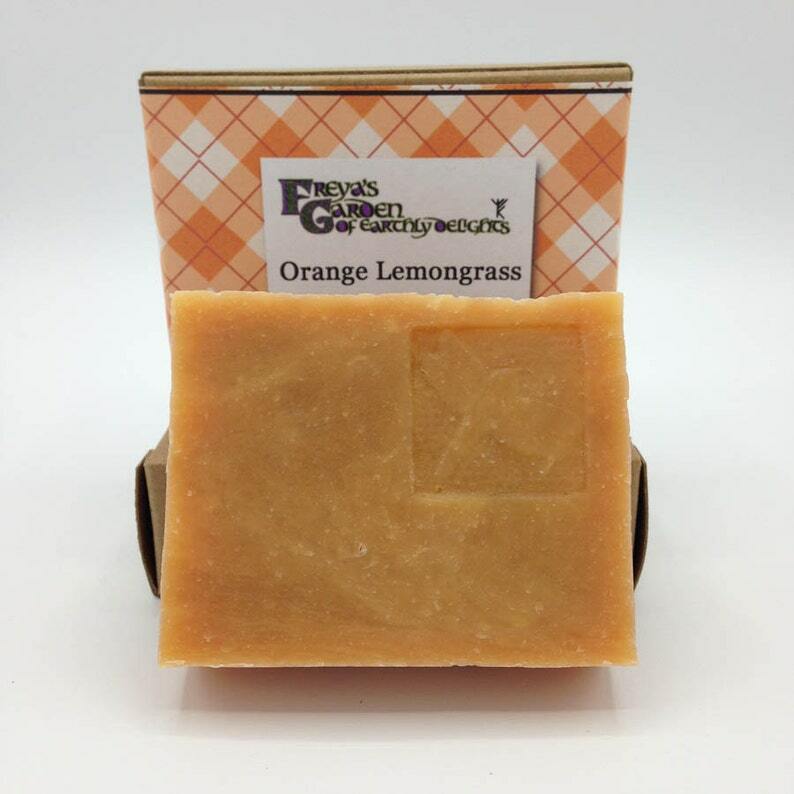 An inviting blend of orange essential oil and lemongrass essential oil in this soap will cleanse without drying, and make you feel great that you're using an all-natural soap in your home. Whole goat milk (not powdered) is the key to the super creamy lather you'll experience with these awesome bars of goat milk soap. Non-GMO oils are used because I am a small farmer and I don't like how the-mega-corporation-that-shall-not-be-named is attempting to squash the small farmers. I crinkle-cut them so they last longer as that helps them sit 'above' the water in your soap dish. Each bar of soap is hand-boxed and then wrapped in a pretty paper. They are all ready to give as a gift! These are not vegan because of the goat milk, however NOTHING I sell is ever tested on animals! I have a little farm with a horse, 3 sheep, 5 chickens, 2 boxers and 3 useless but loved cats and couldn't imagine selling products tested on animals.